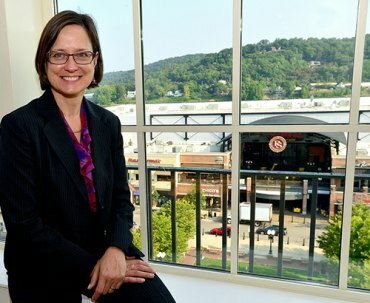 Sandra J. Reed, professor and director of Marshall University’s School of Art and Design, begins this year a three-year term as president of the SECAC, an organization dedicated to education and research in the visual arts. She was elected by members during the 73rd annual meeting in Columbus in October 2017. Reed has been a member of SECAC since 2002 and served as first vice president from 2014 to 2017. She also has served on the organization’s board of directors and was conference director for the 2011 annual meeting in Savannah, Georgia. Eight years ago, Reed initiated SECAC’s mentoring program, a resource for professors in the arts. She received her undergraduate degree at Drake University and her M.F.A. degree at the George Washington University. She joined Marshall in 2014 to serve as director of the School of Art and Design, following more than 20 years of teaching and administration at the Savannah College of Art and Design. SECAC was founded in 1942 to support artists, scholars and arts professionals who are engaged in and supporting higher education, research, and creative activities in the visual arts. Members are located across the United States and abroad. SECAC fulfills its purpose in part by sponsoring an annual fall conference, hosted by an institution of higher learning. The conference provides members with a forum for the exchange of ideas and concerns relevant to the practice and study of art. The organization also publishes a newsletter and the scholarly journal Art Inquiries.